This level have normal difficulty and you need to play with trick to complete this level requirement with less move. First try to make striped candy and then break horizontally to take down colorbomb to the bottom. 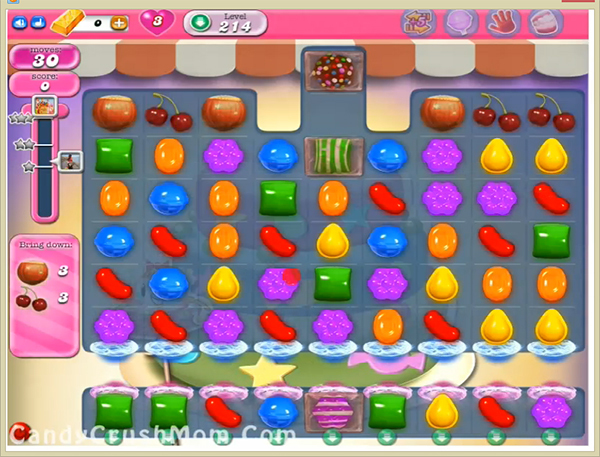 Then combine colorbomb with striped candy to take down all ingredients to the bottom with single move. We completed this level with 129420 score using above trick that help to reach requirement within 12 moves and rest 18 moves converted to bonus score that give three star score at the end.